The single most accurate computer model (on average) overnight made the prediction below. It matches my forecast (see below) quite well. 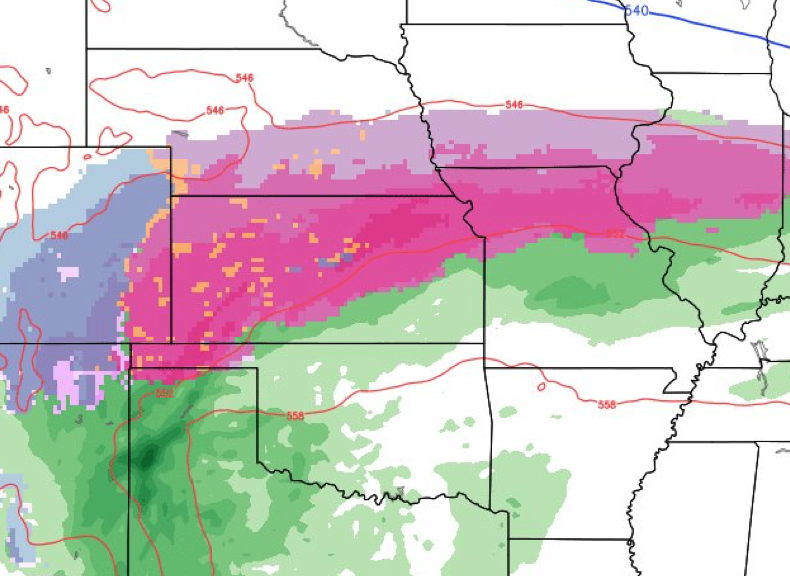 I'm very concerned about the area where I have written (again, below) "severe ice storm." There may be widespread power failures in the areas in dark red to the north and west of the yellow line. If you scroll down, you'll find safety suggestions. Please prepare accordingly. Mike is this saying that except for the panhandle, Oklahoma should only get rain?